In December, RoboOption is going to present you several pleasant surprises. From December 1st to 31st 2014, we offer you the chance to receive deposit bonuses up to 100% and fulfill the conditions of the bonus program in a shorter period of time. 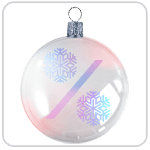 Deposit your RoboOption trading account in December, choose deposit bonus up to 100%, trade using bonus funds, and withdraw more money from your account after fulfilling the requirements for the trading volume. You can decrease the required trading volume by as many as 50%! To read more about the offer, visit "RoboOption Promotions" page. Information about conditions how to receive and withdraw bonus funds can be found on "Deposit Bonus" page of the Company’s website. December is the time to give and receive gifts. Hurry to benefit from this unique offer from RoboOption!